Sketch app is a great tool for anyone who wants to make stunning user interface designs. 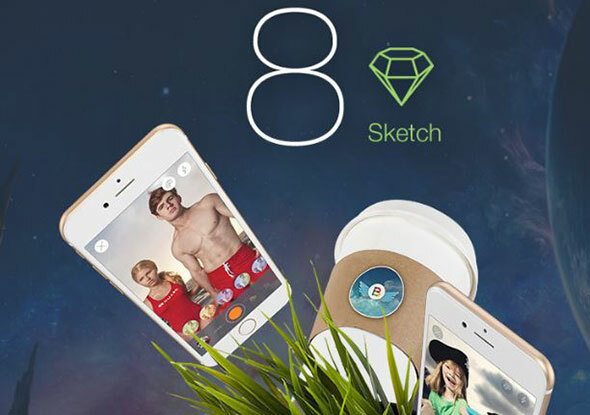 Sketch files are well organized and really easy to navigate through and also to customize. The best thing about Sketch is that you can find lots of UI kits with tons of elements that can be used individually or combined. These elements are organized in categories, to ease your workflow. 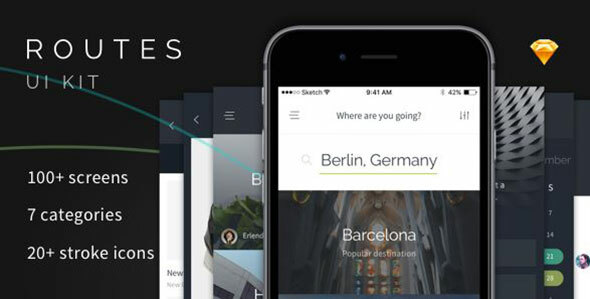 By using Sketch you can create professional user interface designs for your projects. Many of the Sketch templates below come with pre-designed screens for an even easier design approach. You can rapidly create an online store, blog, magazine, business site, and more, according to your needs. Check out this wonderful collection of Sketch templates for user interface designers! Enjoy! 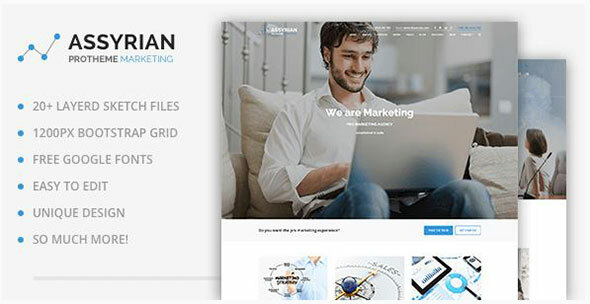 Assyrian is a professional online marketing, SEO Sketch theme. It is a social media agency that is created for online marketing agencies, SEO companies, social media specialists and marketers, corporate and accountancy businesses. 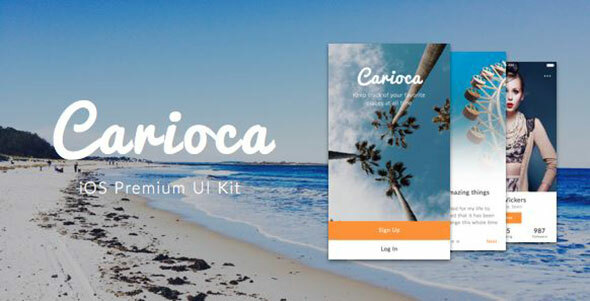 Carioca is an iOS UI kit that comes with 120 one-of-a-kind screens. It is designed using vivid summer colors. Carioca was created using Sketch and it is definitely a time-saver for your projects. 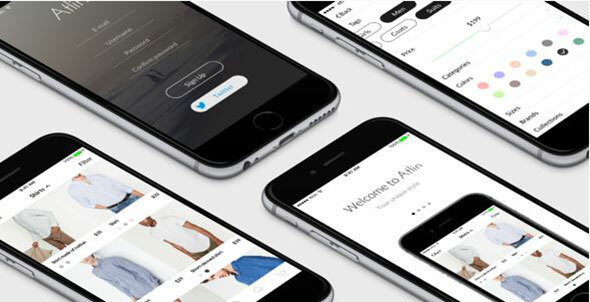 Altin UI kit is a collection of 31 different screens designed for iPhone. It offers all the screens you need to design your apps. It comes with 12 e-commerce screens, 5 walkthrough screens, 6 profile screens, 8 login screens and 30+ unique icons. 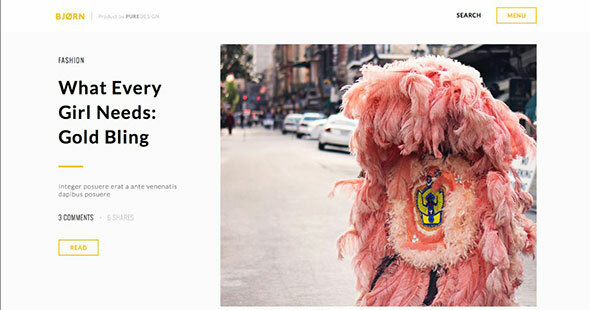 Umbrella is a Sketch template for photography sites. It includes different pages: home, blog, portfolio, about, contact, menu and more. 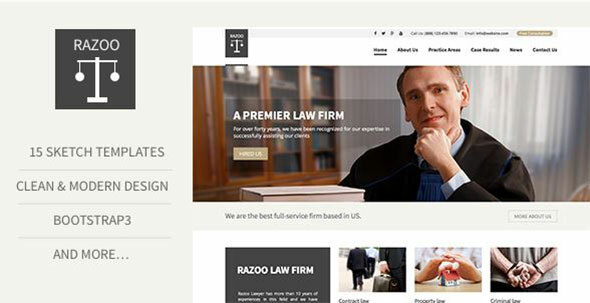 It has a clean design with fully responsive design and it comes with free fonts and icons. 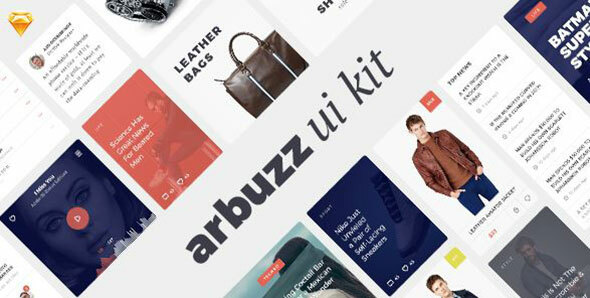 Arbuzz offers a large UI kit for eCommerce, blog/magazine, and Media demands. You can use Adobe Photoshop or Sketch to customize it, depending on your favorite. You can use this theme for an online store, blog or magazine, media portal, and more. 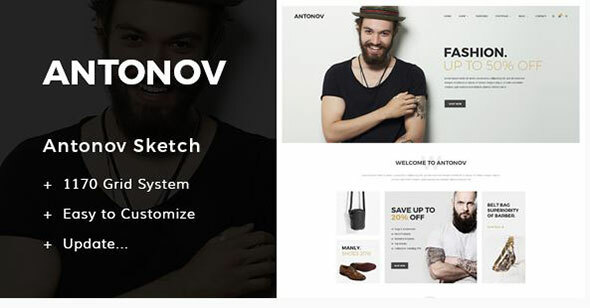 Antonov is a Sketch template created for those who love fashion. It is a theme with modern style, easy to customize and it comes with Google free fonts. Enjoy! 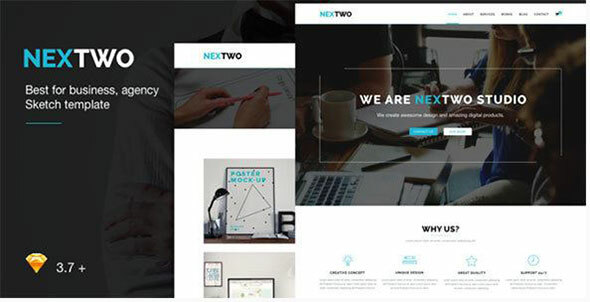 NEXTWO is a business Sketch template that includes 7 pages: main page, about us, blog, single post, portfolio, project page, contact. All the layers are organized so it is really easy to make any changes. 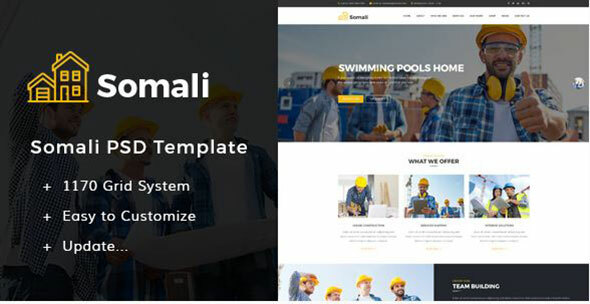 Somali is a clean and modern Sketch theme that comes with 3 homepage designs, Google free fonts and more. Take a look and use it for your projects. 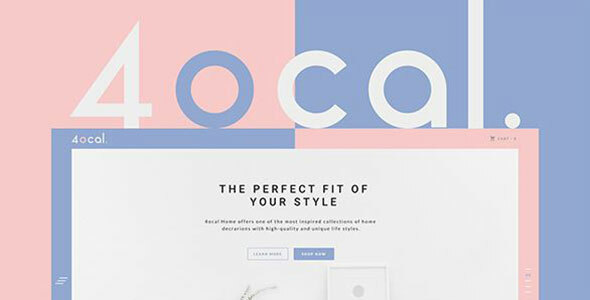 4ocal is an expert web user Interface kit created for promoting your business. 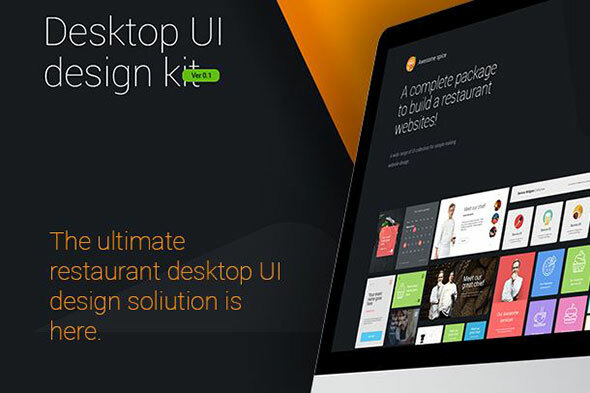 It has over 260 detailed UI themes organized in 22 categories and 10 built-in landing pages. Every theme is 100% responsive, for all types of screens, and it is simple to use. 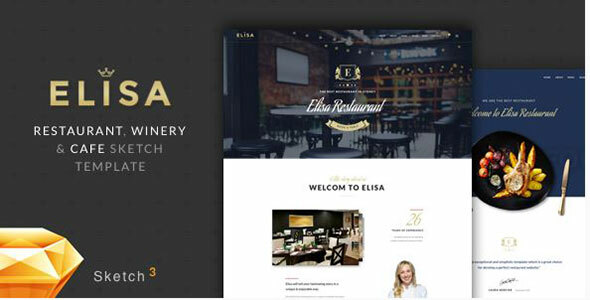 Elisa is a Sketch template with a modern design. It is perfect for cafe, winery & restaurant businesses. It includes all the necessary pages: reservation, menu, event, blog, shop, about and contact. 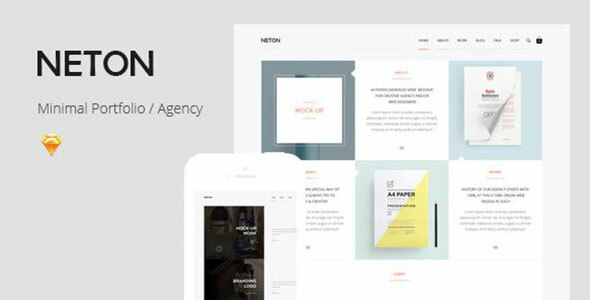 Neton is a Sketch theme designed for agencies, portfolios, personal blogs. It has a high resolution and it is well organized in layers, making it really easy to customize. 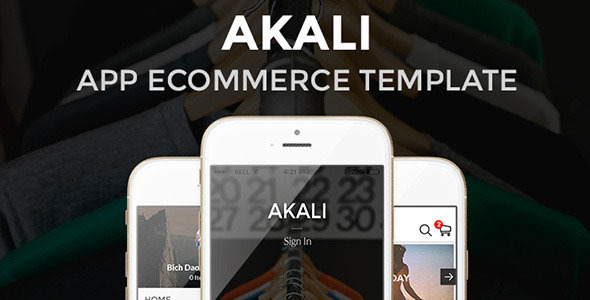 Akali is a great eCommerce app template perfect for online shops. It comes with lots of colors, 12 different screen pages. The Sketch file is well-organized and it has a pleasing design. Black & gold is a Sketch template created specially for hotel businesses. It uses a bootstrap layout and it has a creative design. Take a look! Chair is a fully layered Sketch theme. 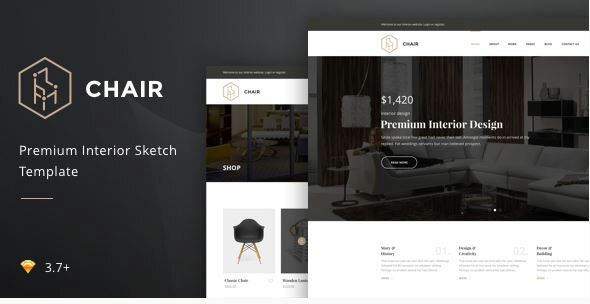 It is created especially for interior, furniture websites. It has a minimalistic and strong look, with a responsive design. Trust is a neat, multi-purpose Sketch theme. It is perfect for different businesses: attorneys, lawyers, counsels, advocates and other legal and law-related services. 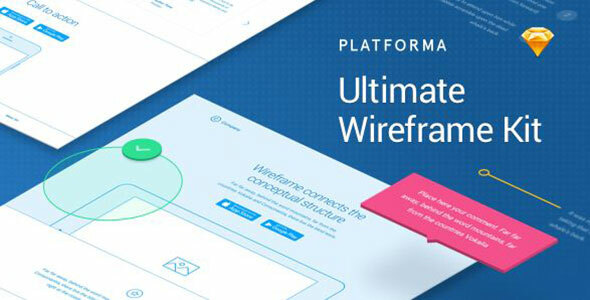 Platforma comes with a tremendous layout library, with over 200 Sketch layouts. It is organized in 15 categories and it makes it very easy to customize. 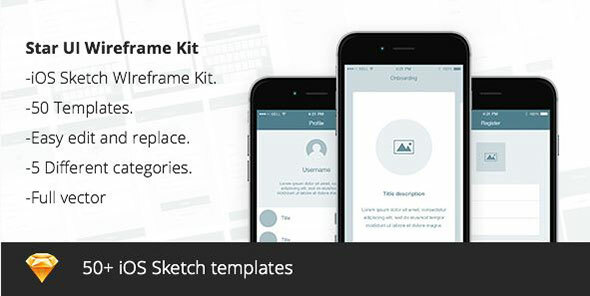 Star UI is wireframe Sketch kit that is flexible for any app. It includes login, register, menu, profiles. 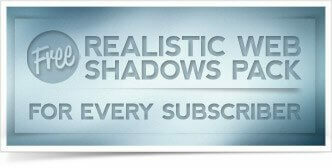 It comes with over 50 screen templates, so you can choose the one you like. 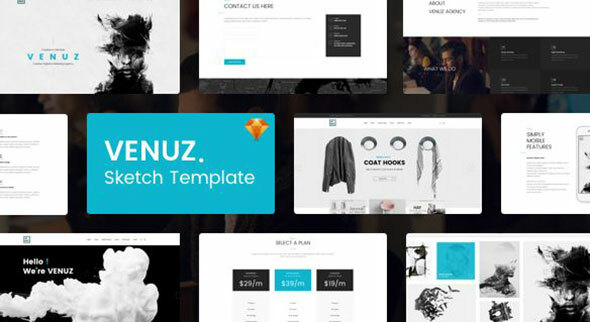 VENUZ is a modern Sketch theme that is great for any agency or portfolio. It is well organized, which makes it super easy to customize, text, color, and anything else you want. 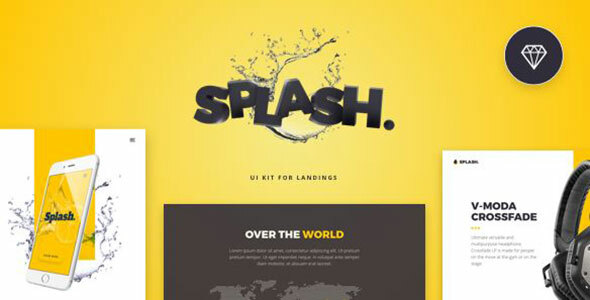 Splash is a creative UI kit created for portfolios. It covers 180+ screens from different categories. It uses the 960 grid system, vector shapes and Google fonts. You can easily combine the elements with each other to create the perfect website for your project. 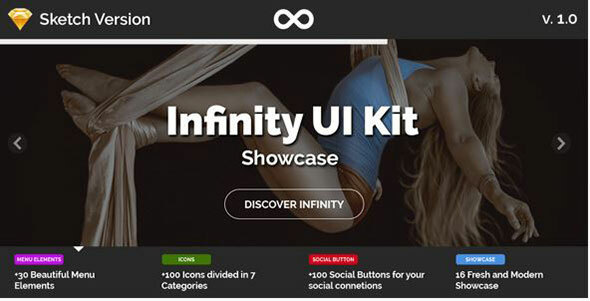 Infinity is a modern Sketch UI kit. It comes with more than 100 social buttons and icons and over 30 wonderful menu elements. It has an organized structure with named layers, which makes it super easy to edit. 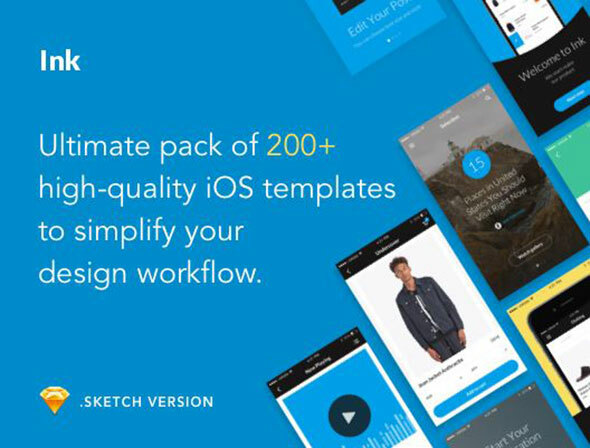 This is a Sketch UI kit that comes with more than 158 pages included. Its layers are well organized in groups, which makes it easier for you to edit. Take a look! 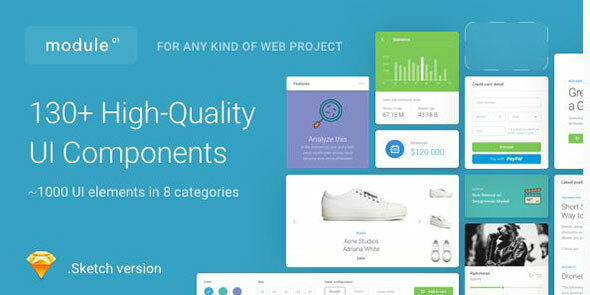 Module is a set of high-quality elements organized in 12 categories and in 13 themes. It contains headers, contents, promo, features, eCommerce, portfolio, team, price tables, subscribe, sign up, call to action, testimonials, footers. Awesome spice is a UI kit Sketch app that has over 100 elite screens. It is perfect for restaurants and other food related industries. 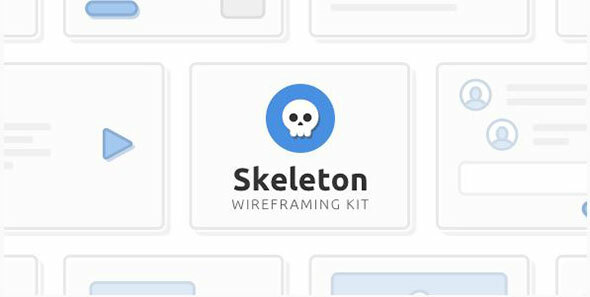 Skeleton is a wireframing kit that includes 120+ screens for websites. The layouts are organized in 15 content categories, completely editable. 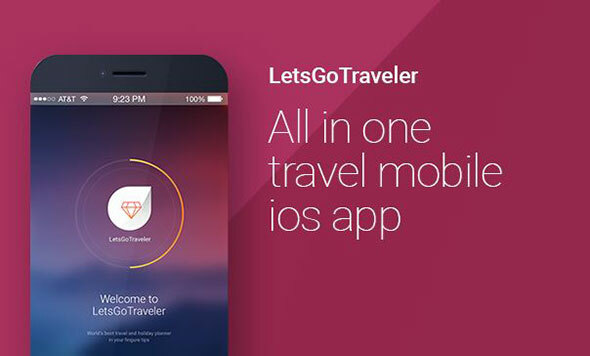 LetsGo traveler is a clean and modern Sketch UI kit that suits all travel and holiday businesses. 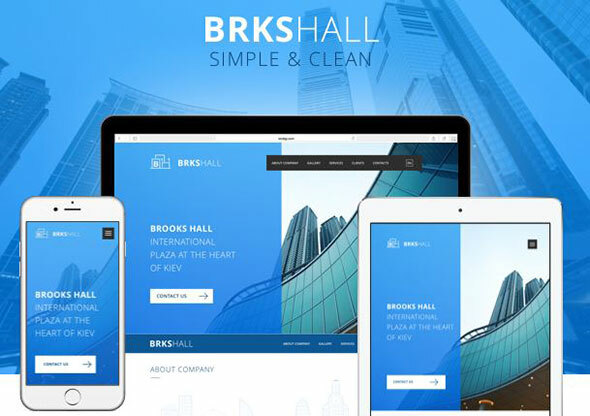 Brooks hall is Sketch template great for business websites. 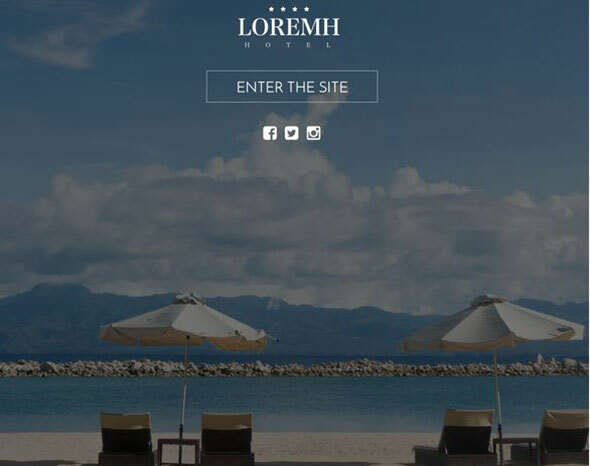 It is a corporate theme that is fully responsive which means it will fit great on any type of devices. 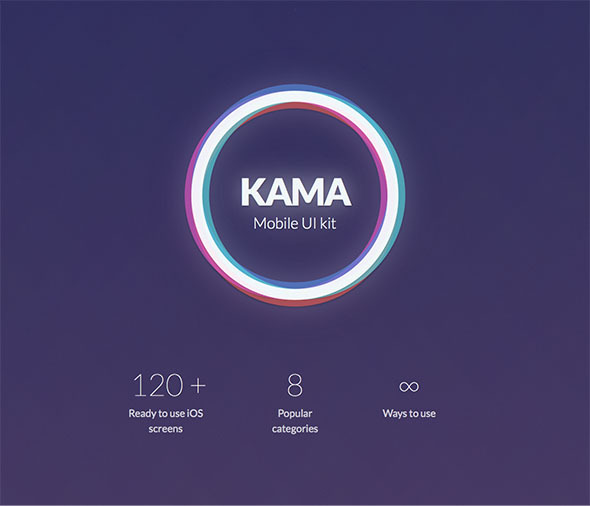 Kama is a gorgeous and modern iOS UI Kit, created for Sketch. It’s a great option if you want to make your workflow efficient with maximum productivity. Routes has over 100 screens organized in 7 categories, with more than 20 stylish icons. 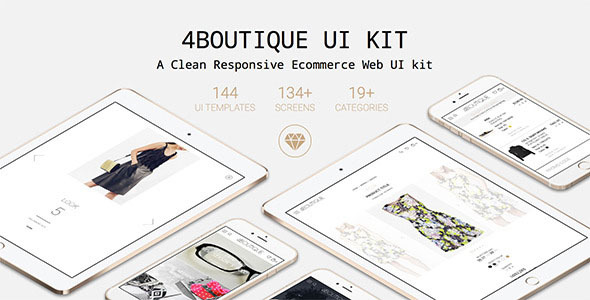 4BOUTIQUE is a very cleand and modern eCommerce web UI kit with a fully responsive design. It’s a great tool for creating cross-platform website includes desktop, tablet and mobile templates. 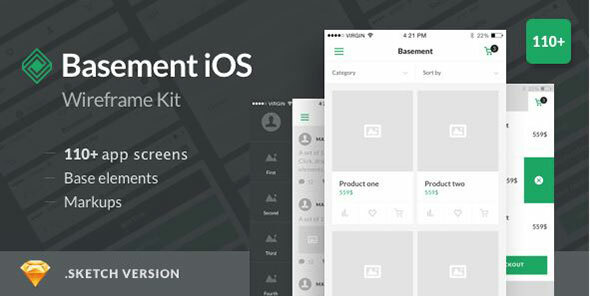 Basement iOS is a collection of more than 110 pre-built screens which will ease your work. All of the screens are customizable and well organized, making the editing process easier than ever. Module 01 is a useful UI kit which comes with over 130 components, all designed to help you finish your job easier. It also has 5 ready-to-use page samples for you to choose and simply add your data. Basement wireframe kit has more than 200 ready-to-use components which you can join to get a perfect prototype. It will definitely help you save time and be more concentrated on your project. 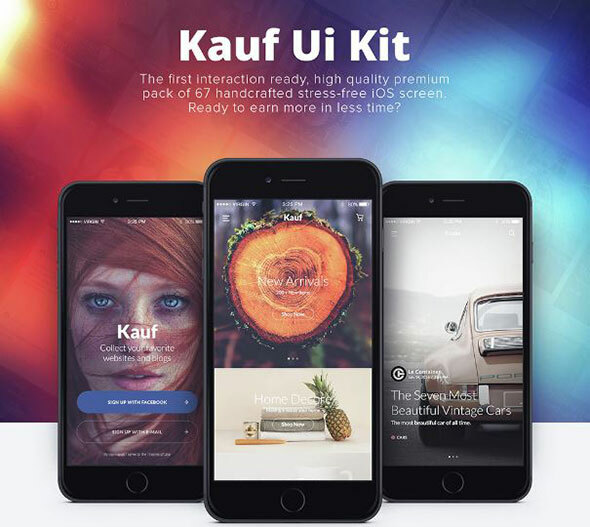 Kauf iOS UI kit is a high-quality pack that has 67 pre-built screens. It is concentrated in 5 categories: sign in/sign up, eCommerce, reader & articles, profiles, social. 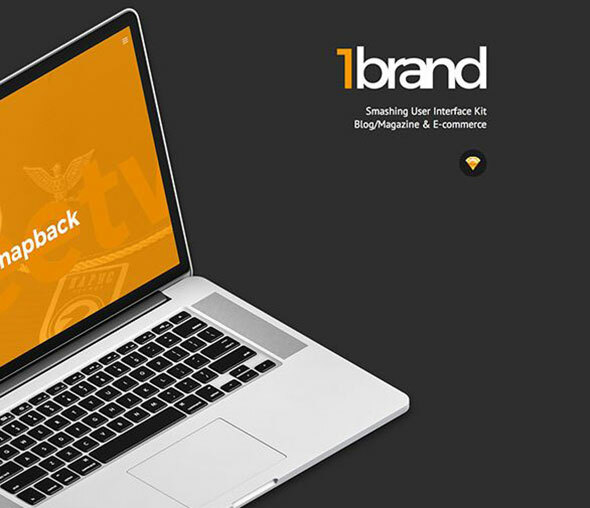 OneBrand is a modern UI kit for Stylish. It comes with bold typography and hundreds of items concentrated in 10 different categories: eCommerce, blog, headers, footers, navigation, widgets, post, forms, base elements and sample pages. 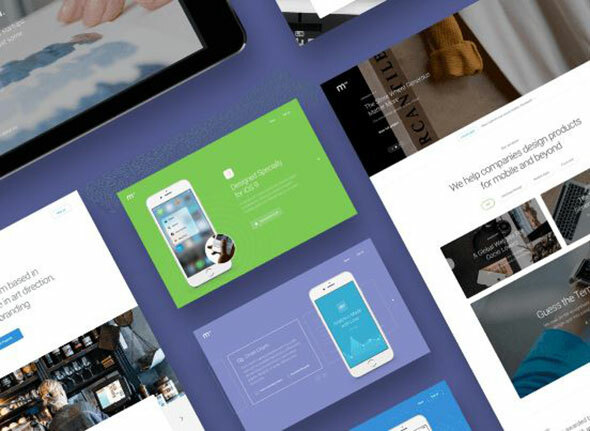 Ink has the following features: more than 200 iOS screens, hundreds of customizable UI elements concentrated in 7 categories, smart layer structure, vector layers, and more. 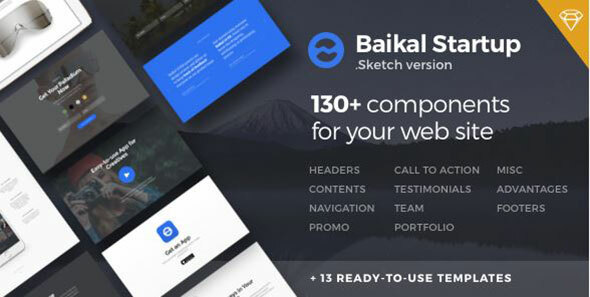 Baikal comes with 130+ excellent components joined in 11 categories. It is designed with 13 built-in samples, for you to use right away. All of its elements are compatible with each other, making it easily customizable. 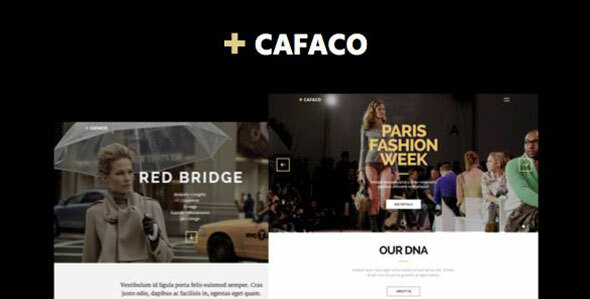 Cafaco is a portfolio Sketch theme that is perfect for any website you may need. You can choose between 13 pages with an elegant design, all super easy to edit and to add your data. 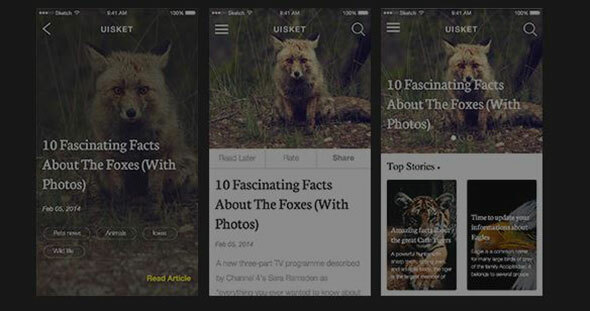 UISket is a modern UI kit for Sketch. It uses 30+ screens for you to choose the best for your project. It is composed of vector layers that are well organized, therefore, customizing it is very easy. 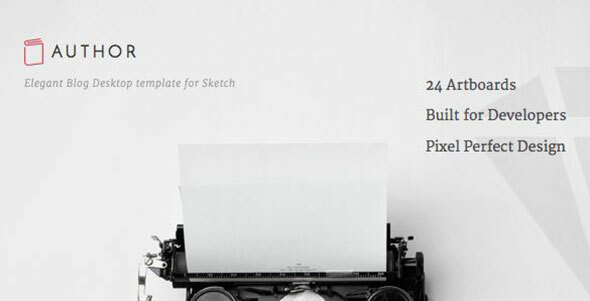 Bjorn is a multipurpose Sketch template which is great for any website. It has a large collection of items for you to choose the best for you. When downloaded, you get 1 Sketch file with 13 pages, all easy to edit. Take a look! Author is a gorgeous desktop template for Sketch. 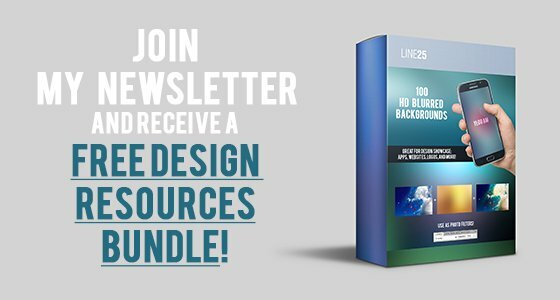 It includes 24 artboards, that will suite all your needs for a blog website. It has a clean and modern style and it will make your work stand out from the rest. New to sketch, but definitely interested in trying the graphs tool! Should beat trying to generate them from scratch in photoshop!!! Thanks. Thank you, Iggy! That means so much coming from you – Line25 is one of the blogs I consistently check out and you have such fantastic author. I love the way you shared such a useful post that can be really helpful for all of us.